Boost speaking and listening skills with these cut-out-and-keep discussion cards. Each beautifully illustrated sheet contains a selection of questions on a specific theme. The themes include: the senses, journeys, New Year, winter, time, family, treasure, popstars, magic, Easter and philosophy. You can use the discussion starters in group sessions or as part of a one-to-one or role play situation. Younger children will enjoy expressing their opinions in response to the questions and thinking through their answers carefully. 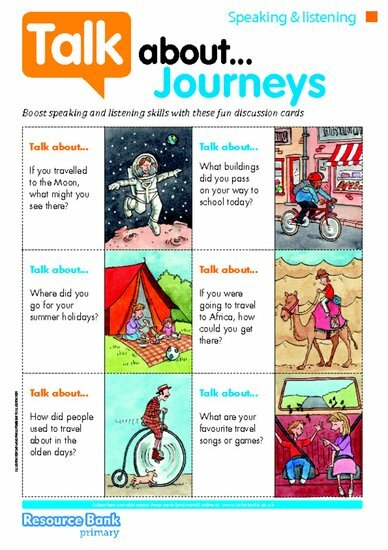 Older children could use the discussion pointers as an opportunity to practise various tenses, sentence constructions and vocabulary options.